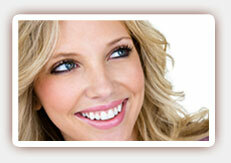 Dental implants are the number one recommended method by dentists everywhere for replacing missing teeth. This is because they offer so many advantageous over other methods like crowns, bridges and dentures. Dental implants, however, are not perfect. If they are not cared for correctly, there are several issues that the patient could begin to experience. Because dental implants act much the same as natural teeth, they are cared for in the same way as well. Regular brushing and flossing around the implant is usually all that is needed along with biannual screenings with our expert in dental implants in West Hollywood to ensure that there are no complications and to perform a professional cleaning. Without proper oral hygiene though, dental implants can cause several problems. If dental implants are not cared for properly, the connective tissues that surround them will be more at risk for infection because they do not have the same blood flow as the tissues would with a natural tooth. Periodontal disease is another problem implant users are at risk for if they do not practice good oral hygiene because a buildup of plaque and tartar around the implant can lead to gingivitis. While these problems may sound bad, they are the same issues anyone would face if they did not properly care for their teeth. 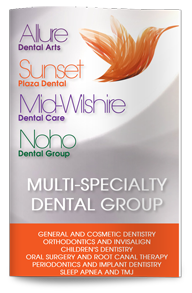 That is why our dentist in West Hollywood recommends dental implants to so many patients.